Technology innovator Huawei and premium-lifestyle brand PORSCHE DESIGN have collaborated to introduce the revolutionary PORSCHE DESIGN HUAWEI Mate 9. The PORSCHE DESIGN HUAWEI Mate 9 is a limited edition smartphone combining Porsche Design’s signature brand aesthetic with Huawei’s mobile engineering expertise, giving high-demanding individuals unprecedented luxury and performance in the palm of their hand. The underlying philosophy for all Porsche Design products and also for the new PORSCHE DESIGN HUAWEI Mate 9 is to create an equilibrium of aesthetics and function. Those values stem from the design philosophy of Porsche Design’s founder - Professor Ferdinand Alexander Porsche – who designed the legendary Porsche 911 in 1963. His mission was to build a company that takes the principles and spirit of Porsche beyond the automotive world. All Porsche Design products stand for precision and perfection, smart functions, refined functional design and boast an impressive level of technological innovation. Created and engineered by the legendary Studio F. A. Porsche in Austria and brought to life by carefully-selected manufacturers. Porsche Design products are sold worldwide in over 140 Porsche Design stores, high-end department stores, exclusive specialist retailers and the official online store (www.porsche-design.com). The second generation dual lens camera co-engineered with Leica has a world-leading 20 megapixel monochrome camera and 12 megapixel color camera. The PORSCHE DESIGN HUAWEI Mate 9 delivers spectacular photography and videography to match users’ own high-performance lifestyles. Supported by faster processing speeds and enhanced power thanks to the world’s newest processors, and longer battery life (up to two days with normal use), the result is an exclusive limited edition smartphone which delivers high performance in its finest form. 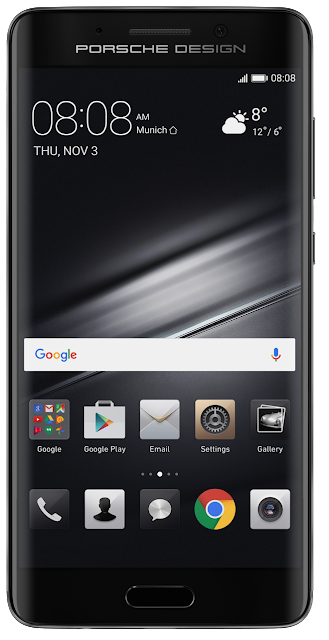 With the PORSCHE DESIGN HUAWEI Mate 9, Huawei introduces a remarkable 5.5” curved AMOLED display that offers a smooth, sleek feel. 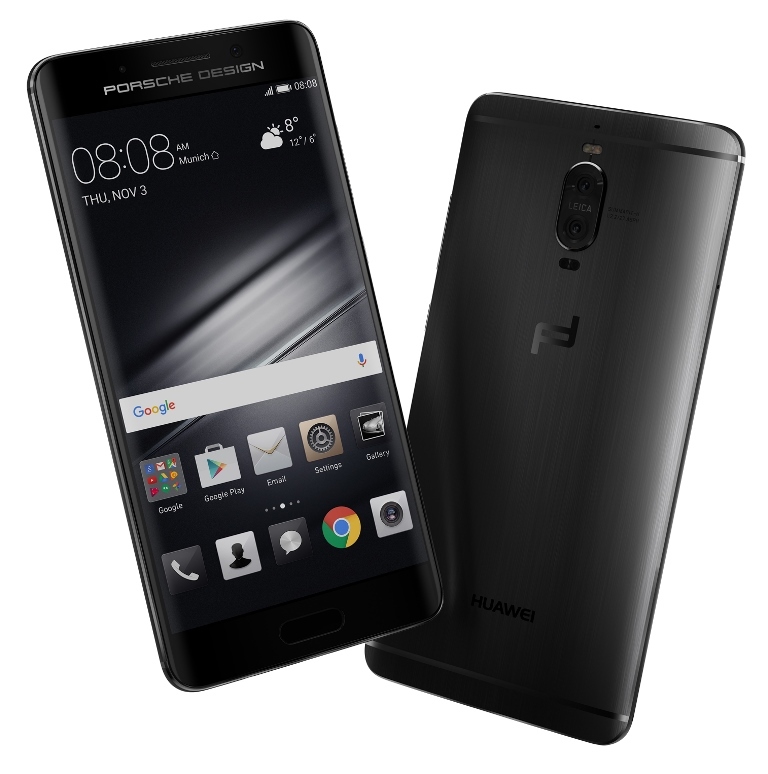 PORSCHE DESIGN HUAWEI Mate 9 (6GB RAM + 256GB ROM) retails in Europe for 1395 Euro and will be available in the European Porsche Design Stores starting in late December. The device will also be available in January 2017 at Porsche Design Stores worldwide (except USA), and select Huawei retail stores in Asia, Middle East and Europe. The exclusive PORSCHE DESIGN HUAWEI Mate 9 is available in Graphite Black.